On a number of occasions, Sean Velasco of Yacht Club games has said that he'd love to make a new, side-scrolling, 2D Zelda game. I think he'd do an incredible job with that, but seeing as how Shovel Knight already has a lot of Zelda II in its DNA, I think it would be even better to set Sean and his team free to work on something completely different. Let them take a break from swords, towns, overworld maps, Ye Olde English, and high/low combat guessing games for a while and give them the Metroid license. Better yet, task them to make a game about Justin Bailey Samus that takes place after Metroid 1 but before Samus Returns, so they can explain why her hair isn't green anymore. It's the a question that fans have been asking for over 30 years, and I think Yacht Club might be the only ones brave enough to answer it. More importantly, it would be amazing to see them put all their power-up ideas in the hands of one character. Each of the four Shovel Knight campaigns centers around a separate protagonist that has one or two central moves, both working as a weapon and as a means to traverse the environment. Just imagine if there was one character who could stack all those abilities, like how Samus can use her Space Jump, Screw Attack and Ice Beam all in tandem? In Yacht Club's hands, I'm confident that the results would be more than satisfying. Yacht Club has a great relationship with Nintendo. In fact, Nintendo is the official publisher of Shovel Knight in Japan. That has me sure that Yacht Club will get to make an official Nintendo game eventually. I'm just not sure it would be Metroid. Something tells me they are more likely to take on a project starring Tingle, Waluigi, or Rusty Slugger. That said, I'm sure they'd agree to collaborate with Nintendo on whatever Nintendo asked them for help with. 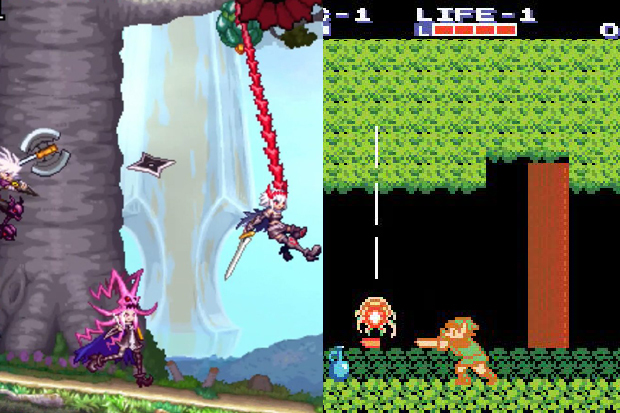 Between Mega Man 9, Bloodstained: Curse of the Moon, and the Blaster Master Zero series, Inti Creates has proven to be masters of bringing NES-style game design forward to the modern era. They're particularly skilled at fixing issues with classic titles while retaining their spirits in the process. I love the original Blaster Master, but I'm the first to admit that it's disjointed, rife with frustrating dead ends, and littered with relatively useless abilities. Blaster Master Zero fixed all that, and I think they could do the same for Zelda II. The president of Inti Creates told me in a interview for Nintendo Force last year that he'd love to make a new game in the style of Zelda II. The problem is, his studio is already working on a bunch of games. On top of that, Nintendo already has two old school Zelda games in development as we speak. If they decided to do another Zelda throwback, it probably wouldn't be anytime soon. This is one I would have never thought of myself, but when I interviewed Edmund a while back (again, for Nintendo Force) he told me point blank that out of all the Nintendo franchises he'd like to take on, Mario Party is #1. 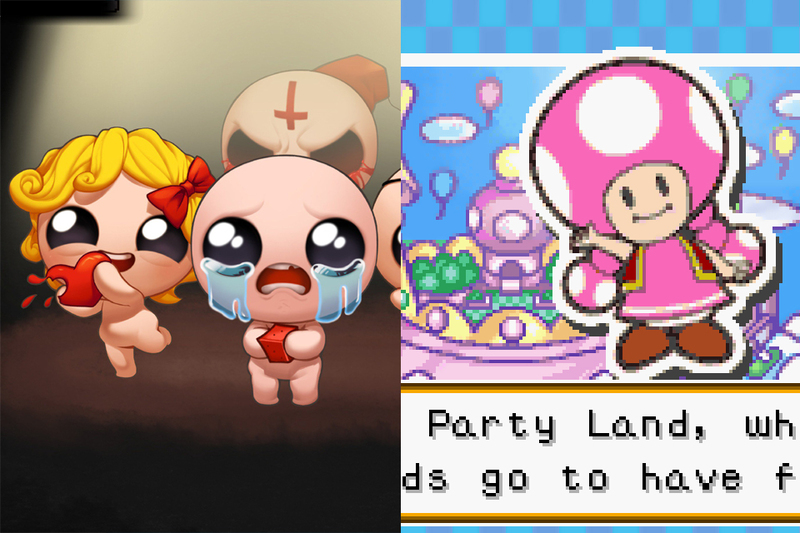 It makes sense given that Super Meat Boy is essentially everything he'd probably want to do with Mario, and Isaac is basically his sequel to The Legend of Zelda. So what's left after that? Mario Party, obviously. Edmund is also constantly dreaming up new ideas for games, so it would make sense that he'd need a massive multi-player mini-game collection to house them all. Nicalis, Edmund's publishing partner for the past few years, has a fantastic relationship with Nintendo. That's part of how we ended up with an Ikachan level in WarioWare D.I.Y., and why so many of their games are released at retail on Switch. Still, knowing Edmund, he would struggle to get a Mario Party game made that met his own incredibly high standards. Being a self-proclaimed perfectionist, as well as a massive Mario fan, he'd surely be extremely anxious if tasked to create something that lives up to both his and Nintendo's standards. Its much more likely that he'll just keep creating his own original games until the day he retires. Daisy is riding high these days, thanks to her playable status in Super Smash Bros. Konjak, the creator of Iconoclasts, isn't doing too badly himself. After finally finishing his latest game, he can now turn towards new projects, and hopefully find a work/life balance that's a little less soul crushing. 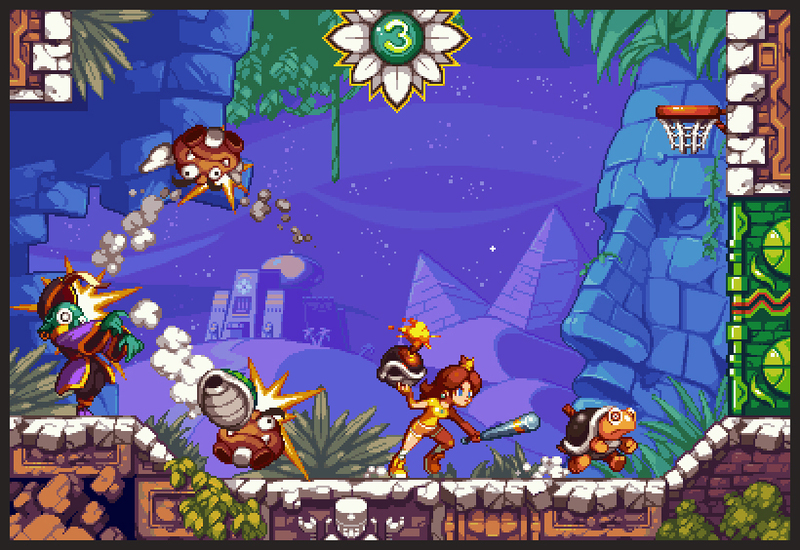 Now is the perfect time for him to get together with Daisy and make his dream of sports-themed action platformer a reality. What could be better for the soul than hearing "Hi I'm Daisy!" 300 times a day while developing a game about a princess who assaults beetles with a baseball bat? Konjak is amazingly talented, and after working on Iconoclasts for over seven years, he's also rightfully exhausted. That said, it looks like he's ready to take on this Daisy project, so if he's ready to go, then who are we to worry? Nintendo probably would ask him to make a Metroid game first anyway, as he understands better than most what makes Metroid-style action satisfying. but as a famous woman once said, "Why don't we have both?" 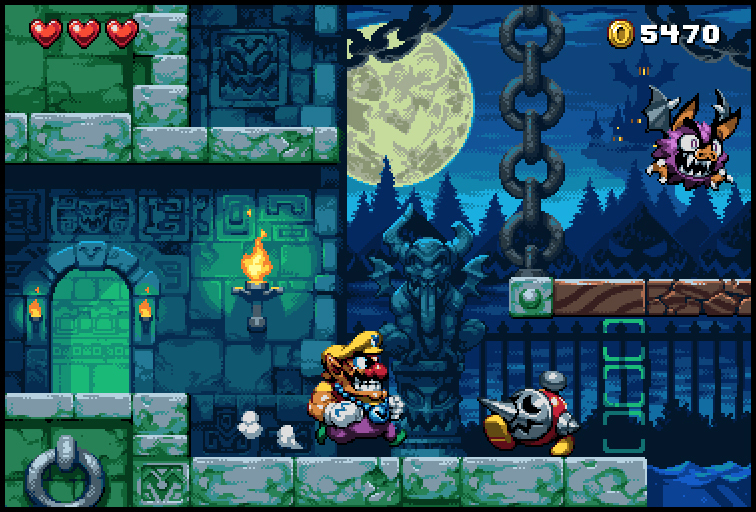 Simon from D-Pad Studios created a mock up for a new Wario Land game a few years ago, and people are still talking about it. 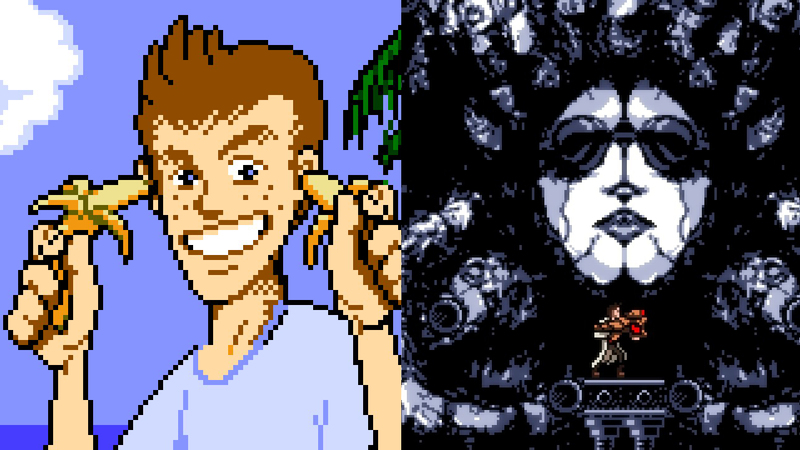 After having finally played Owlboy, we know that D-Pad are more than just top-notch visual artists. They also are masters of variable level design and mixed-gameplay mechanics. Put them all together and you have the perfect combination for a new Wario Land extravaganza. Simon isn't shy about pitching games to big publishers. I know he pitched a Chip and Dale's Rescue Rangers remake to Capcom, as well as a build of Mega Man X 9. If he wants to make a new Wario Land game, he'll definitely send something over to Nintendo. The question is, does he want to, and if so, will Nintendo accept? That's hard to say. Owlboy's nearly ten year development cycle may scare them off. Then again, it's been over ten years since Wario Land: Shake It, so for all we know, D-Pad has been working on the sequel this whole time. 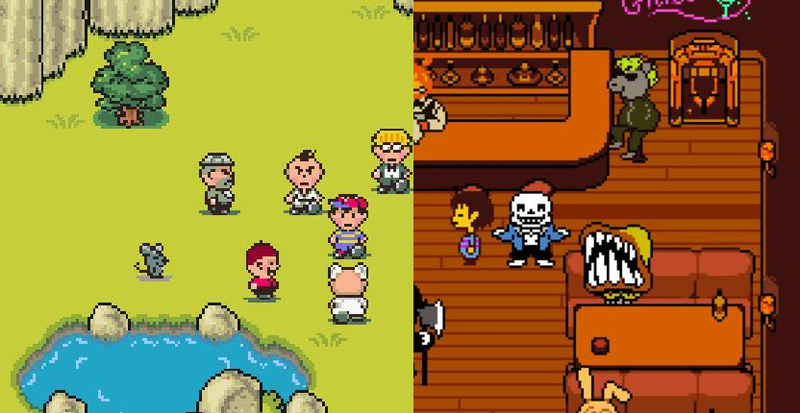 It's no secret that we wouldn't have Undertale if it weren't for Earthbound. Toby Fox, creator of the Undertale series, was an active member of the Starmen.Net fan game development community for years, long before he released any original games for sale. Seeing as how Mother/EarthBound creator Shigesato Itoi hasn't been involved with game development since the release of Mother 3 in 2006, the series likely won't go on unless he chooses to pass the torch, and I can't imagine anyone he might choose over Toby. Nintendo clearly loves Toby, as they have interviewed him more than once, which is something they rarely do with indie developers. If it were up to Nintendo alone, I bet they would greenlight a new Mother-spin off by Toby in a heartbeat. 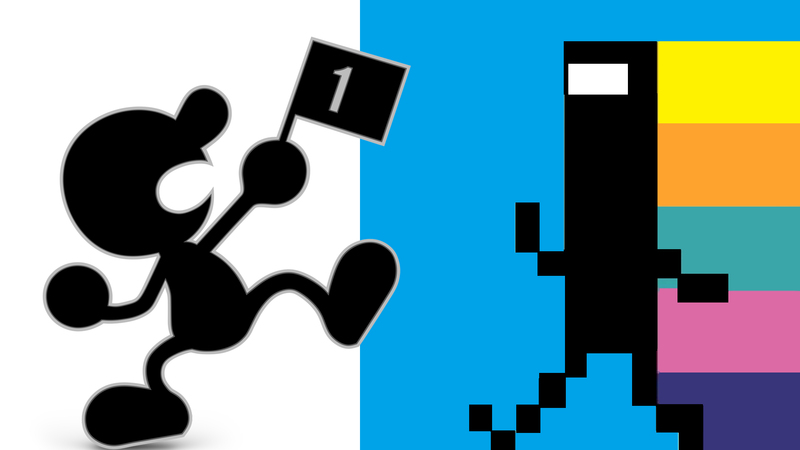 That said, I doubt that either Toby or Shigesato would feel right about it. Maybe if it were a collaboration between the two of them, it might make sense, but what are the chances that either of them want to co-write a video game with a stranger? In a few years, after Deltarune is done, maybe Itoi and Fox will go on a road trip together and start making a new Mother at the end of it. Until that happens, we shouldn't hold our breath. The gang at Choice Provisions is currently busy wrapping up their new Bubsy title, and I have it on good authority that's not the only game they're working on at the moment. 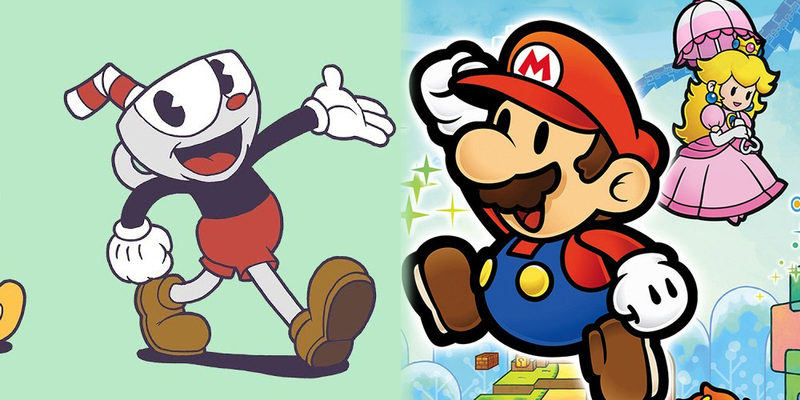 Still, its hard to imagine that they wouldn't take a call from Nintendo about making another score-based, simple-abut-deep collection of games with one of their pre-Mario characters. On Nintendo's side, we know the respect is there, as Commander Video was the first indie trophy to ever appear in Super Smash Bros. The only reason I bet this meeting hasn't happened yet is neither party had thought of it yet. You're welcome, Nintendo and Choice Provisions. Hollow Knight combined cute and creepy in an organic way that few developers ever pull off it. The original mythology, the interconnected world, the sense of wonder and dread all feel fully authentic, like a game adaptation of a classic novel that never existed. You have to wonder what they could do with an actual classic novel, like Ovid's Metamorphoses for instance. Team Cherry is hard at work on the next Hollow Knight game, but they will presumably be done with it in the next two years. That would then be the perfect time to sign on to do a short, focused remake of the original Kid Icarus, using the Hollow Knight engine. They have a great relationship with Nintendo, are sure to remain a high profile for at least the next five years, and seem ready for anything. The only reason I'm only marking this one "Very possible" is because, lets face it, its way past my bed time, I'm drunk on lack of sleep and an my over-enthusiastic attitude towards video games is getting the best of me. None of these ideas are probably going to happen. 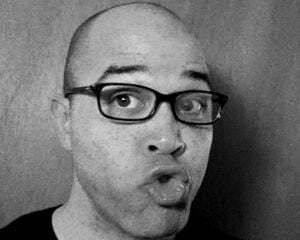 Then again, if I had told you last month that I thought that we'd get a Zelda x Crypt of the Necrodancer by the end of April, you'd probably think I was a total goofball, so who the heck knows. Between the years of 1990 and 2004, Nintendo released five F-Zero games for consoles. Starting in 2011, Shin'en has released three games in their Fast racing series, which many consider to be F-Zero titles in everything but name. Not only are they releasing their games at a faster rate than Nintendo did, but they are, well, still releasing games in the series. That's something Nintendo has been hesitant to do since the release of F-Zero GX in 2003. No one really knows why. Captain Falcon is more popular than ever. 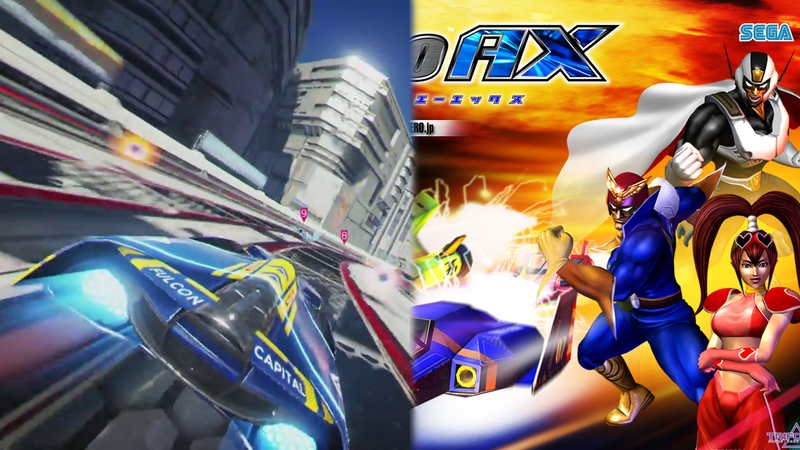 F-Zero GX reportedly sold over 1.5 million copies. People want more F-Zero. The problem is, Nintendo doesn't want to make more. Shin'en does. This shouldn't be hard to figure out. The problem here is, I think Nintendo genuinely doesn't want to publish any racing game other than Mario Kart ever again. It's the same reason why Fire Emblem is the only strategy RPG series they put out anymore. They don't want to compete against themselves. Still, they can't deny that F-Zero has an appeal that's unique, and that they don't exactly have to worry about people choosing to pass on Mario Kart 8 Deluxe in favor of another racing game. There is more than enough room for both franchises to thrive on Switch, and if and when Nintendo wises up to that fact, calling Shin'en would be their smartest next move. First Tom Happ was known as the guy that made the game that Reggie said looked like Metroid. Then he became known as the guy who partnered with a retail publisher who were going to give 75% of their profits to a fund to aid his disabled son. Now people are talking about him because said publisher allegedly ran off with the money, leaving Tom and his business manager Dan Adelman (formerly of Xbox and Nintendo) to pick up the pieces on their own. All this has to be incredibly tiring. I have to imagine that Tom must want to take control of his own narrative for a change and make himself, and others, just feel good again. One way he could do that is to bring Star Tropics back to life. It's one of Nintendo greatest underdog franchises. Mixing eastern and western sensibilities, as well as elements of top-down and side-scrolling action titles, it's a mixed bag that's hard to quantify. That said, it did get a sequel, as well as a recent release on the Nintendo Switch Online library. The emotional investment in the series is there. It's just a matter of figuring out what to do with it. In many ways, this is similar to the situation that Nintendo was in with Metroid around the time Axiom Verge was released. In the end, Tom's game ended up doing much better than Nintendo's Metroid project at time (Metroid Prime: Federation Force), so maybe this time around they'll get him on-board with an official revival. Last time I talked to Tom about what kind of Nintendo game he'd want to make, he named Kid Icarus. I think he'd do great with that property, but personally, I feel his brand of confused-but-curious, mixed-media-styled, introspective adventure would be better suited to an oddball series like Star Tropics. His partner Dan is still on great terms with his former colleagues at Nintendo, so I have no doubt that they could get those dots connected if that's where their hearts lie. Hopefully I'll see them both at PAX East so I can ask what they think of the idea face-to-face.